1) what's a whipper snapper? 3) ziyonim i thought are equalizers for all buried "under 6ft" whats the pligta here? So you are comparing visiting Lizhensk to going into a basement with a tzeylem and bowing down? Interesting. I know you are Habad, and Lizhensk is Hagas, but still somewhat surprising. למעשה it is a commercial venture by the tour company. As there are some people in the Litvishe velt today of Hassidishe opshtam, for such people, who still might feel a residual connection to Hassidishe things, who still have not purged it from their system, maybe they will sign up if they see some small Hassidishe thing there, so the business will get more customers for their trip. It doesn't mean that the Mirrer Yeshiva, or Litvishe velt endorse it. Dr. Brody the Saviour of Volohzin! my advice get in touch with the squatters of uman and the comedians and caterers of Kerester. and for those who need a "blatt gemorah" as a justification for there parents for this lame idea of a trip, you ain't fooling no one but yourselves. "Maybe all those years in bnei Berak and Yerushalayim had some sort of affect, after all. Maybe the Roshei Yeshiva taking kvitlach had an affect. Maybe they'll believe in G-d after all." 1) It's "effect", not "affect". 2) You're not comparing your brothers from Lithuania to another religion, you're just insinuating that they don't believe in G-d. And by adding Lizhensk and Lublin to the itinerary they'll suddenly turn into believers. A whippersnapper is someone who is younger than you are but also irritatingly overconfident and impertinent, like your little smart aleck cousin. The moral of this post, don't use innocent naive bnei torah, for your private benefit, they are using a "blat gemorah" for commercial reasons, more like the agudah is using "daf yomi" for political reasons! (unlike mehadrin using the kotel to sell cheese) that is exploitation of the worst sort, and they should be exposed for what it is..
"their once-solid belief in their system alone is beginning to crack, or at least show signs of wear and tear." 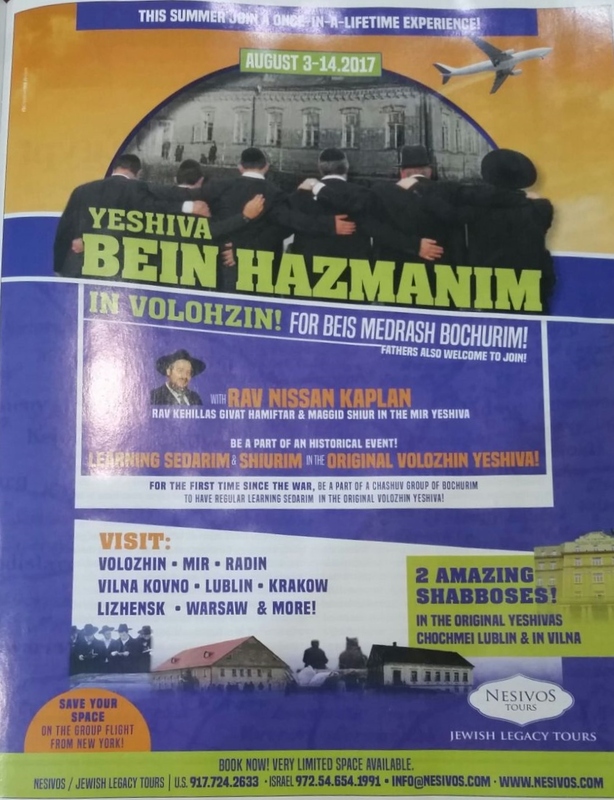 Yes, Lubavitch is now imitating Chagas (aka 'Poylishe Chasidim' in Lubavitch lingo), they are taking on Poylishe customs like schlissel challah and Lag Baomer bonfires, which the nesiei Chabad did not do. A+: "1) It's "effect", not "affect"." It's interesting to hear a chabadtzke complimenting the idea of looking for other ways. They're not really famous for that kind of thing. your comment is classical, explaining the theory of קליפת נוגה in a nut shell, that's how you describe the litvish world of today being in battle within itself. whipper snapper, the whole second-birth of the litvaks in america is based on and is יונק מאחריים of th rebbe elimelic style of chasidim, they can't succeed because that none cultured "culture" is based solely in "Yiddish" as a first language. it does not bode right in any other language not even Hebrew. this story was told to me (a young teen at the time) as i was proudly carrying a likutei maharan that i bought the size of a shas gemorrah, for 25 cents. i had figured that it is a beautifully bound sefer to enhance my sforim shelf.